In a goal to preserve one’s joint, several different surgical techniques exist to stimulate one’s body to regenerate cartilage within the knee. Cartilage is unique in that it lacks a blood supply. 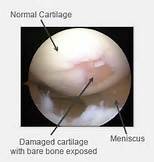 As a result, once injured, the body has a poor capacity to heal articular cartilage lesions. If left untreated, these lesions can often progress to more widespread arthritis. Treatment categories aimed at cartilage regeneration include marrow stimulation techniques, osteochondral transfers/transplants, and cell-based therapies. 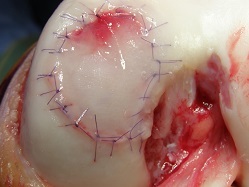 The choice of which technique is appropriate often depends on both the location of the defect within the knee and its respective size, as well as the surgeon’s experience. Techniques involve stimulation of the underlying bone adjacent to the cartilage injury to create a bleeding response. With this response, growth factors and an environment compatible with healing is created with the hope that a cartilage matrix results. Traditional methods within this approach include “microfracture,” where the underlying bone that has healing potential is penetrated to stimulate a healing response. This technique is done arthroscopically where awls are used to create small bone tunnels that provide a route for blood to reach the joint surface and promote healing to adjacent cartilage. Techniques involve transferring a unit of cartilage and bone from a region of the knee not weight-bearing to the injured region. 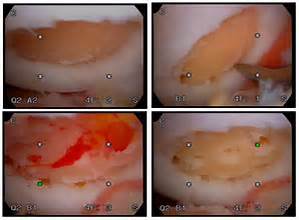 In larger defects, donor cartilage and bone from a tissue bank can be transplanted similarly to fill the defect. 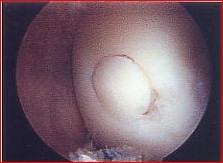 Traditionally this technique has been referred as an OATS (osteochondral autograft transfer system) procedure. Techniques involve placing stem cells that have the potential to produce articular cartilage or actual chondrocytes (cartilage cells) in the defect with the hope that new cartilage cells will grow. Traditionally this was referred to as autologous cartilage transplantation or ACI, but newer techniques are evolving with promising data. In an attempt to preserve one’s joint after injury, cartilage restoration techniques have evolved significantly. Different surgical approaches reviewed in this post can be beneficial towards preventing arthritis and regenerating cartilage. Discuss with your surgeon which techniques may be most beneficial for your particular case. For more information about knee injuries and knee preservation, email us or request an appointment. 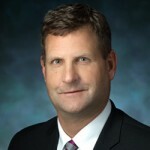 Dr. John J. Klimkiewicz is a board-certified orthopaedic surgeon specializing in joint replacement and sports medicine, with a concentration in knee and shoulder surgery. He is currently team physician for the Washington Capitals hockey team and the Georgetown University athletic program. Dr. Klimkiewicz has served as an elected delegate representing Washington, DC in the American Society for Sports Medicine, and as an editor for the Journal of Shoulder and Elbow Surgery.